By Soozie on 20 March 2019 Exceptional service, arrived within 2 days but not next day as advertised. Have been a customer for a few years although this is the second time that I ordered the eye drops. Thought that it could have been a mistake on my part the first time when I ordered the phials of eye drops but received a bottle! Again I decided to order the box of eye drop phials but again received a small bottle instead!!! By Anna Newson on 01 March 2019 Great product. Quality lenses, well packaged, comfortable to wear. By Julia on 15 February 2019 Very happy with service and product. By Judith on 15 February 2019 A little too soft for me and tricky to put in. By Elspeth Anne on 13 February 2019 I've just changed to Acuvue Moist as I suffer from slightly dry eyes. Having worn now for a couple of weeks I'm very happy with these and can wear much longer than standard product. By Gary Buckley on 12 February 2019 Love the product it makes me see!!! By Libby on 15 January 2019 Easy to use, comfortable and means I can wear lenses still, even with a varifocal prescription. By Mrs C on 08 January 2019 Fast delivery. Great service. By Davies on 25 December 2018 Comfortable to wear. Too expensive. By Rita on 18 December 2018 Mostly good one bad batch but issue dealt with quickly. By lorenza on 15 December 2018 My favourite lenses. I can wear them for an entire day and my eyes are never dry. By diane on 14 December 2018 These lenses are so comfortable and extremely easy to remove. Extra care has to be taken when inserting them as they are really delicate and thin, however, this only adds to their comfort. Would recommend picking up the eye drops for days when lens wear exceeds 8 hours. By Michelle on 06 October 2018 I’m not a lover of specactles! I’ve been wearing 1 day multifocals for about 8 years now and they are so comfortable. By Mrs Parlour on 02 October 2018 Great lenses, impressed by the ease of use. By Lars H. Nielsen on 27 August 2018 The product was as expected. By Mark Petrie on 07 July 2018 I have tried other brands of lenses but I have found these best suit me, they are really comfortable to wear that I have gone from an occasional user too wearing them all week. By Ann on 06 July 2018 The best of the dailies for my dry eyes. Not as comfortable as my biofinity monthly lenses but great for my diving when dailies are the only option. 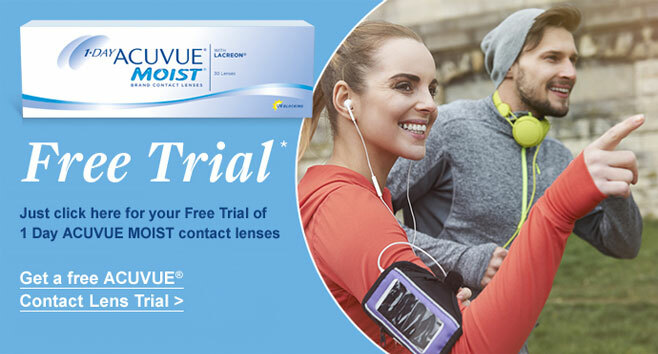 By anne on 06 July 2018 The best multifocal contacts that I have tried. Stay in place and are very comfortable. The blue tint is nice. By Michelle Calvert on 09 June 2018 I can wear my contact lenses all day, evening and my eyes don't feel dry or tired. Very comfortable! By Paul on 08 June 2018 Comfortable disposables which are great for general wear and distance vision but with my prescription don’t seem to offer sufficient clarity for reading. By Mrs Avis on 07 June 2018 A multifocal is always a comprise between distance and near vision. I have tried many Multifocals but this is the best one to date in terms of vision and comfort. By Maxine on 01 April 2018 Love them! They are so easy to put in, and out. Change your life from wearing glasses I cannot recommend them enough. By Vince Santini ( DJI Phantom Vision 2+ ) on 31 March 2018 I used this product, after my optician gave me a sample. I am long sighted and these lenses make working at a desk, with a computer a pleasure. No wearing glasses that need cleaning and you misplace them etc etc.... Then looking at distance, they take a few seconds for your brain to adjust to the refocusing and then all is good. It becomes second nature after a while, and you don't think about it. I wear these about 10 to 12 hours a day, resting at weekends not wearing them, and I have no issues at all. Last yearly heath check was perfect. By Lisa Walker on 31 March 2018 Comfortable. Vision is clear however I do use Hycosan Extra eye drops to assist if my eyes are dry and this help the lens and vision beautifully. By nigel stockton on 27 March 2018 Lenses arrived next day. Excellent! By Ahappycustomer on 20 February 2018 Great, comfy lenses. Good value for money. By Paul on 21 January 2018 Been using them for years. Always comfortable, stay moist all day. By KMN on 16 January 2018 Very comfortable, even in winter's drier air! By david on 12 December 2017 Good product,great service. By Filipa on 01 December 2017 1st time I am using dailies and they are very comfortable but tend to move around the eye and easy to fall if not careful. Still, I find them good enough and have ordered several boxes.